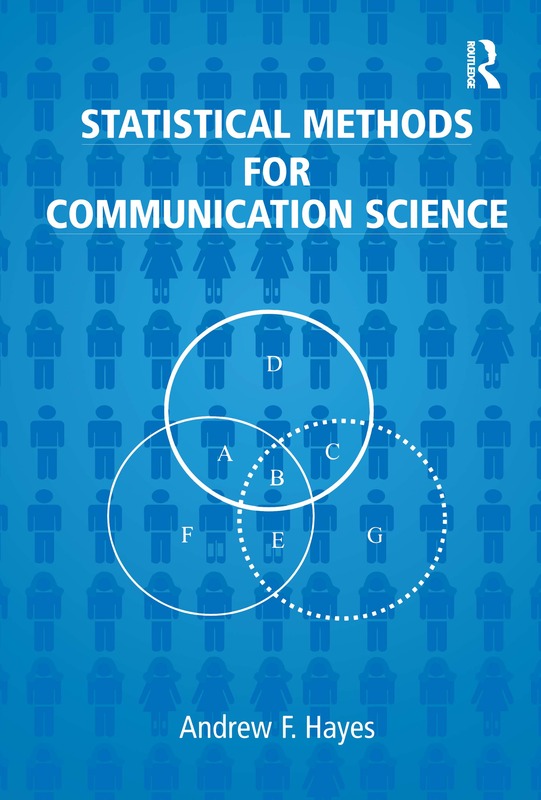 Statistical Methods for Communication Science is the only statistical methods volume currently available that focuses exclusively on statistics in communication research. Writing in a straightforward, personal style, author Andrew F. Hayes offers this accessible and thorough introduction to statistical methods, starting with the fundamentals of measurement and moving on to discuss such key topics as sampling procedures, probability, reliability, hypothesis testing, simple correlation and regression, and analyses of variance and covariance. Hayes takes readers through each topic with clear explanations and illustrations. He provides a multitude of examples, all set in the context of communication research, thus engaging readers directly and helping them to see the relevance and importance of statistics to the field of communication. *a CD with macros, data sets, figures, and additional materials. This unique book can be used as a stand-alone classroom text, a supplement to traditional research methods texts, or a useful reference manual. It will be invaluable to students, faculty, researchers, and practitioners in communication, and it will serve to advance the understanding and use of statistical methods throughout the discipline.